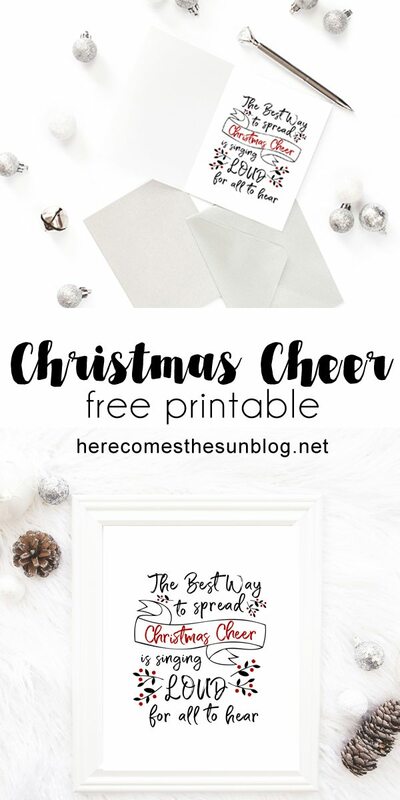 This Christmas Cheer printable is guaranteed to bring love and laughter into your home this holiday season. Elf. It’s one of my favorite holiday movies. Second only to Christmas Vacation. The holiday season just hasn’t officially started until I watch both of these movies. 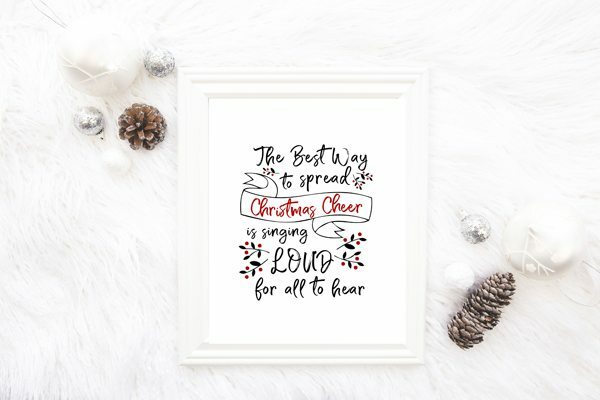 One of the most recognizable quotes from the movie is “The best way to spread Christmas cheer is singing loud for all to hear” Although my kids would not necessarily agree. The other night we were all snuggled up on the couch watching tv. I think we may have been watching the Grinch, another one of my favorites. I started singing a Christmas song… very loudly. My tween daughter did the obligatory eye roll and my 8-year old son immediately started screaming for me to be quiet. Clearly they don’t appreciate good singing. As always, this print is for personal use only. You may not sell it or redistribute it. This print is formatted as an 8×10 PDF and looks best printed onto heavy cardstock. 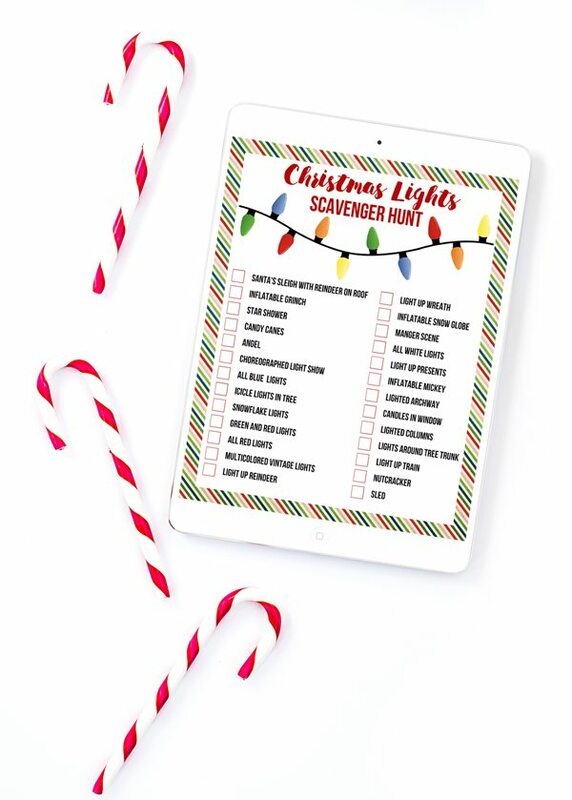 Place this print into a festive frame and hang it up for instant decor. This would also make a great gift. Tell me, what’s YOUR favorite holiday movie. Leave your answer in the comments below.